The focus here is on Beauty & Art in Weird-Fantasy Fiction, with interviews of authors. It also tracks the art, writings, and thoughts of S E Lindberg, creator of Dyscrasia Fiction. He co-moderates the Goodreads Sword & Sorcery Group and invites you to participate. Sharon died serving the undead. Will you take her place? 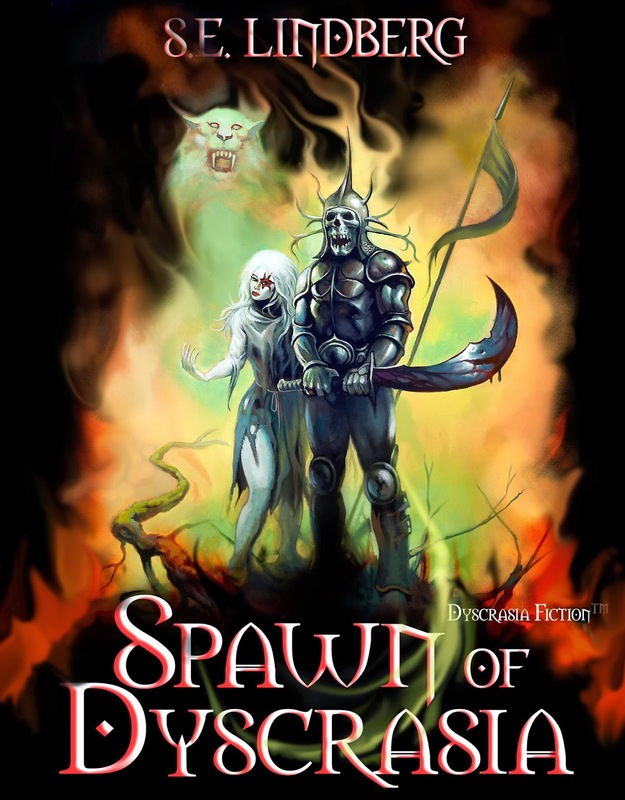 Spawn of Dyscrasia - dark fantasy fiction by S.E. Lindberg (c) 2014. Cover art by master oil painter Ken Kelly (c) 2013. Dyscrasia Fiction™ explores the choices humans and their gods make as a disease corrupts their souls, shared blood, and creative energies. In 'Lords of Dyscrasia', the first installment, Lords Lysis and Echo stabilized dyscrasia that mutated and killed the masses. Roaming dangers persist two decades since that Ill Age. The ruined Chromlechon colony has evolved into a Keep hosting orphans who supply the Lords with sorcerous energy. Readers, authors, illustrators, and editors aggregate here to discuss Sword & Sorcery books and related media. Come join us. Follow Seth's board Dyscrasia Fiction on Pinterest. Content Copyright S. E. Lindberg 2011. Awesome Inc. theme. Powered by Blogger.